Bring Forth the Apostles and Prophets! April 3, 2017 10:04 am / 3 Comments on Bring Forth the Apostles and Prophets! But to each one of us was given grace according to the gift that Christ measured out … And he gave some to be apostles, some to be prophets, some to be evangelists, and some pastors and teachers. They would equip the saints for the work of service to build up the body of Christ, until we all attain to the unity of the faith and of the knowledge of the Son of God, to the measure of the adult population of the fullness of Christ. (Eph 4:7, 11-13). In my Swedish house church, we once looked at this passage and realised that not only are the apostles and prophets extremely rare in the West, but when they still show up, we become terrified. Especially if they dare to call themselves apostle or prophet. This probably stems from the prevalence of cessationism in Protestantism, which elevated teaching as a major component of church life while prophecy and apostleship were viewed as obselete. Article written for Pentecostals & Charismatics for Peace & Justice. Visit our updated website! The charismatic revival has not just been about signs and wonders, but about worship and music as well. Similar to previous revivals like Methodism and Salvationism, early Pentecostalism had a lot of zeal and passion in their hymns, with a renewed focus on the Holy Spirit and miracles. The African American influences and inspiration from the mission field also impacted the tone of the music so that it became more inspirational. Things changed even more during the Western charismatic renewal of the 1960’s and 1970’s, as the Jesus movement incorporated popular, hippie tunes into their worship. This in turn impacted the Vineyard which combined the contemporary style with a focus on singing to God rather than just about him. Today, charismatic churches like Hillsong in Australia and Bethel in California are without doubt the main influences when it comes to contemporary worship music and are really popular especially among the youth. Watch the previous Heroes of Faith episode about Heidi Baker here. There are many who have compared John Wimber and Bill Johnson. And they surely are similar: both are white, middle-aged male pastors from California with confusingly similar names. The main parallel people usually draw is that John Wimber in his time (the 80’s and 90’s) was arguably the most influential person in the Western charismatic movement, and the same can be rightly said about Bill Johnson today. John Wimber, who went home to God in 1997, opened the door to the charismatic Renewal in America’s evangelical community through its healthy and relaxed attitude to the Holy Spirit, in contrast to the hysteria and manipulation that charismatics usually are associated with. 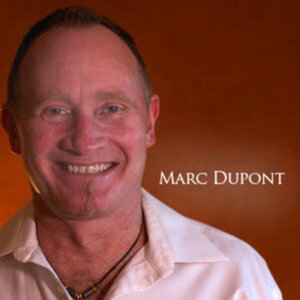 His Vineyard movement boomed through church planting, and today it includes over a thousand churches in the world. Bill Johnson is also a laid-back charismatic preacher, his Bethel Church in Redding is a place of pilgrimage for thousands of charismatics, and he gets invited to speak at a variety of conferences around the world. Although Bethel is not a denomination that starts churches, many churches have been impacted and inspired by Johnson. Johnson has said repeatedly that he is very inspired by Wimber. Both base their charismatic theology on God’s Kingdom. Both have seen many miracles. Both are true prophets. Lonnie Frisbee was an amazing Jesus freak. Being a key figure and informal leader of the Jesus People Movement in the 60’s and 70’s, his impact on Western Christianity is huge. 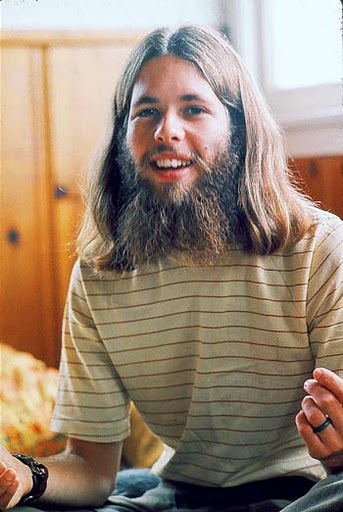 With his long hair and beard he tried to look like Jesus himself “because there’s no one else I want to look like”, he preached on the beaches to his hippie friends that the Holy Spirit is even better than LSD and brought thousands of them to church. The Jesus movement spread rapidly across California, US and the world, but most churches closed the door for them – after all, they were hippies. A church that did welcome them though was Calvary Chapel led by Chuck Smith, not because he was a hippie, nor because he wanted to become one, but because he liked them. While Chuck emphasized Bible studying and evangelical values (which Lonnie thought was awesome) Lonnie himself was a holy roller. He cast out demons, spoke in tongues, healed the sick and prophesied loudly. He proclaimed himself to be a prophet and a mystic, and the whole Jesus Movement became a radical charismatic movement. In 1980 he visited John Wimber‘s Vineyard church and released the youth into full scale charismatic renewal, which had a huge impact on Wimber himself and the whole third wave charismatic renewal. In John Wimber: The Way it Was, John’s wife Carol Wimber shares how important Lonnie was for the Vineyard, and she has some awesome testimonies from a trip to South Africa she, John and Lonnie made where they literally saw the blind and lame being totally healed when they imparted the power of the Holy Spirit to them. “Sometimes I wish we still were Quakers”, Christy Wimber said this morning at the Nordic Vineyard Summer Camp, which I am currently enjoying. Christy belonged to the Yorba Linda Friends Church where John Wimber and his family worshipped, and joined them as they got kicked out of it when they started to heal the sick and baptize converts. She has been a Vineyarder ever since and married one of John’s sons. But she still wishes she was a Quaker. I love to teach on social justice! It really is one of my passions. Justice always go hand in hand with true revival and renewal of the Spirit. Justice – setting things right for the poor and marginalized – is one of the primary purposes for God sending His Son into the world. He came in order to set things right. Great leaders in the history of the church have always understood the relationship between faith and justice. There has never been a movement of God started on fire that did not have a ministry to the poor. The poverty is devastating in Moldava. It is one of the poorest countries in Europe. You can help easily. This video is made by “Serve East”, founded by brothers and sisters from the Vineyard in Bern, Switzerland. They pour out their hearts and lifes into this country. Pray for the people of Moldova to encounter a God who gives them hope, acceptance, justice and restoration. A woman brought her young son, who had a clubfoot, to me for prayer at the end of a meeting. In fact, it was the last of four nightly meetings held while I was visiting a church in the mid-west of the United States. After four nights of extensive ministry I was very tired. So when she showed me his foot with the obvious deformity, my tiredness took over and I felt no faith whatsoever to pray for this five- or six-year-old boy. As she explained that he could walk OK, but had never been able to run successfully in his life, my heart went out to him, but I still felt my tiredness upon me. To step into a faith mode and believe for the impossible seemed even more impossible at that point in time. However, as I knelt down and began to pray for his foot, almost immediately right in front of my eyes it began to change shape. What had, more or less, appeared as a block of wood covered by skin began to change into a normal foot with toes, an arch etc, all in normal size and shape. It had taken place so quickly that I was a bit dizzy. I wasn’t sure whether I was actually seeing a miracle happen, or was imagining it. It took all about five seconds for the transition to take place. In the clip above, John Wimber, the founder of the Vineyard movement, shares how he led a couple to Christ on an airplane thanks to the gift of prophecy. God told John that the man was cheating on his wife, John said to the man that he has to repent because of this, the man realized that John only could know this if God had spoken to him, and thus he got saved and led his wife to the Lord as well – after telling her the painful truth about his sinful behaviour. [Wimber asked] the Holy Spirit to come, and then he was silent. So was the audience. Presumably that meant that God was communicating to Wimber that he would heal certain people in the audience that night. I had never been in a service like that, and I didn’t know what to make of it. Not only was John Wimber a great Charismatic leader who was used by God to perform miracles and teach others to do the same, but he also had a burning heart for the poor and oppressed, and especially in his later years he emphasized to remember the poor and to work for social justice. Here are some quotes by him concerning this issue, mainly found on the John Wimber Twitter and Facebook accounts. “Faith is spelled, R.I.S.K….Commitment is spelled, M.O.N.E.Y…”. August 3, 2012 8:13 pm / 37 Comments on God Bless John Wimber! 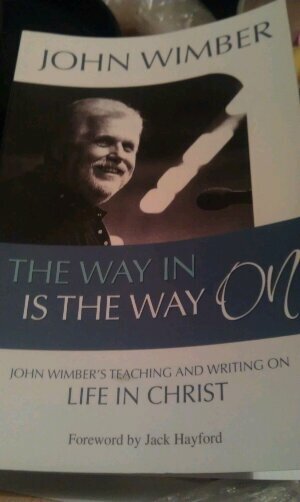 John Wimber, the founder of the Vineyard movement who went home to the Lord in 1997, is one of my heroes in faith. As a man dedicated to combine signs and wonders with evangelism and social justice, he is of great inspiration to me. The text below is taken from an article by Jon Panner which can be found here. “Remember your leaders who spoke the word of God to you. Consider the outcome of their way of life and imitate their faith. Jesus Christ is the same yesterday and today and forever” (Hebrews 13:7-8).